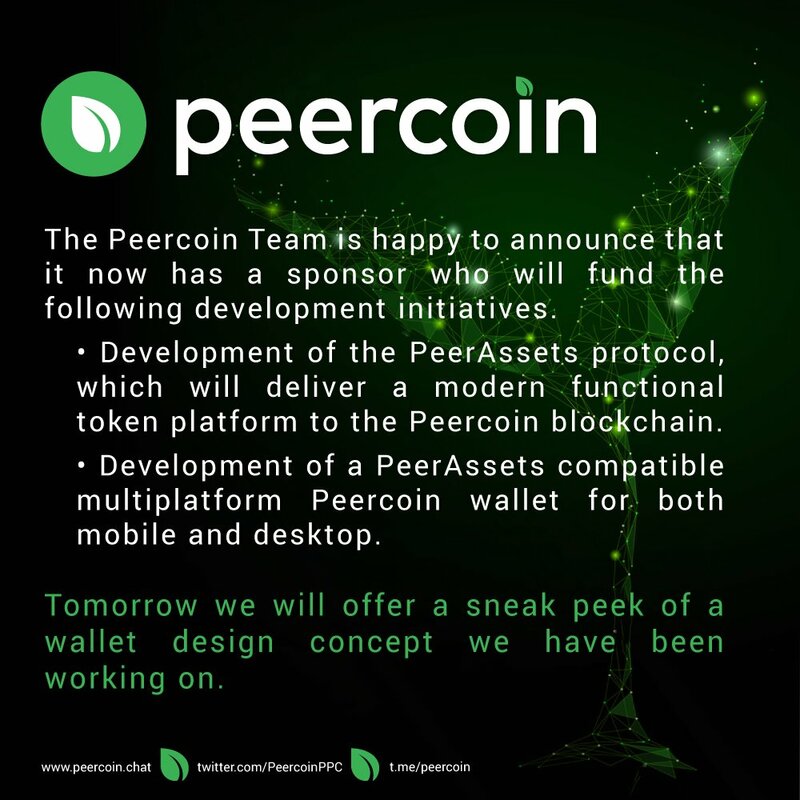 Team Update #10: New Sponsor will Fund Development of PeerAssets Protocol & PeerAssets Compatible Multiplatform Light Wallet for Both Mobile & Desktop. Concept Image Included! Development of the PeerAssets Protocol, which will deliver a modern functional token platform to the Peercoin blockchain. 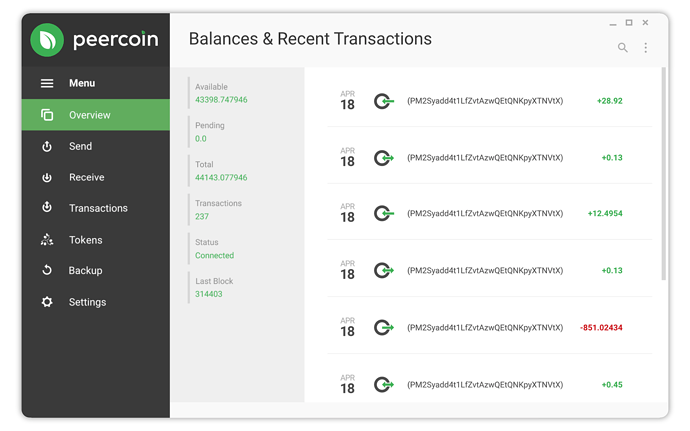 Development of a PeerAssets compatible multiplatform Peercoin wallet for both mobile and desktop. So there are currently two sponsors, one the Indicium fund and two this recent sponsor? Any details on the sponsorship? How much or even how long will the sponsorship support the development? This funding source is indeed entirely independent of Indicium. We are happy to welcome them into the PeerAssets space with us. The original post has been updated with a concept image of the desktop version of the light wallet we are developing. I designed the layout here and my designer worked on the icons. He has worked with us on PeerAssets and Indicium. You’ve probably seen him in the peercoin.chat development channel. Git for Peer assets I found, but where is the git for Indicium ? The development work on Indicium is private. What kind of time frame does the dev team anticipate for PeerAssets, is there one yet? I don’t recall seeing it in the Peercoin 2018-2020 roadmap or anywhere else, although it may have slipped by me. That roadmap was just for Peercoin development. PeerAssets development is separate from Peercoin, so we didn’t include it in the graphic. @peerchemist would have to answer your question here.